An efficient, cost effective range of packaged 4-hole adsorption dehumidifiers, designed for humidity control across a wide range of dew point temperatures. Zoe INTL manufacture dehumidifiers in a range of sizes to suit any space. Whatever you need, Zoe INTL, Calorex, Dantherm, Aerial and Master have the solution. At the heart of all Zoe INTL DehuTech adsorption dehumidifiers is a slowly rotating rotor which is impregnated with desiccated silica gel. This rotor is divided into sections by stationary baffle plates and seals which are fixed into the housing of the dehumidifier. When air to be dried is passed across the process sector of this rotor, moisture is adsorbed from it by the silica gel. In order to allow the dryer to continually adsorb moisture, preheated ambient air is drawn across the rotor’s regeneration sector. As this air passes across the silica gel contained within this section, it removes the trapped moisture. This moisture laden air is then rejected to outside. The regenerated silica gel is then slowly rotated back into the process air stream, allowing the dehumidification process to operate on a continuous basis. Due to their design, maintenance is simple. Perhaps more importantly, the design is inherently reliable, ensuring many years of trouble-free service. Easy installation with each dehumidifier is fully packaged, factory tested and is supplied with duct spigots, air filters and safety circuits. 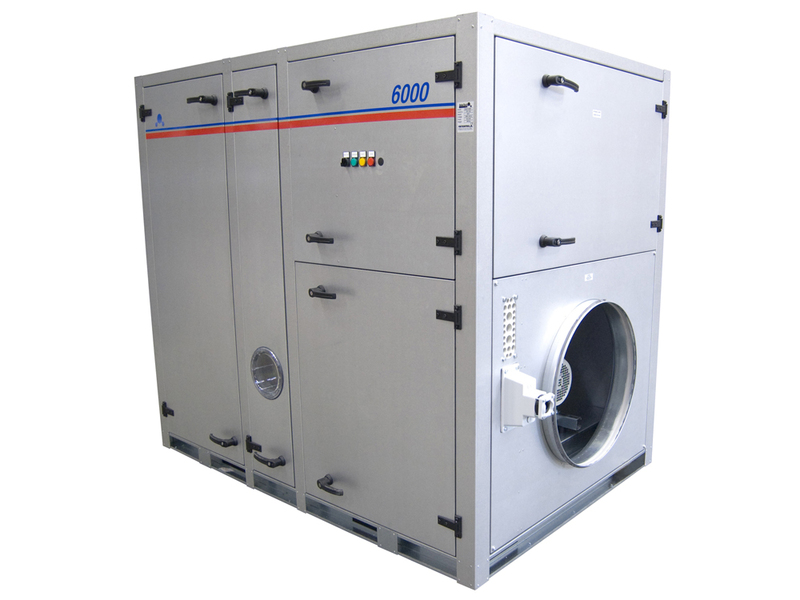 Wide operating range effective dehumidification down to -30°C and 0% RH with either electric, steam or direct fired gas regeneration enabling us to specify the most energy efficient option. Zoe INTL also manufactures refrigerant dehumidifiers in a range of sizes from the smaller wall unit to the large floor standing industrial sized system. Whatever you need, Zoe INTL will have the solution. Zoe INTL dehumidifiers provide a reliable and efficient method of solving problems of excess moisture and condensation that cause damage and deterioration to ensure the safe storage of irreplaceable works of art. Providing the correct environmental conditions to preserve these items is vital and our range of powerful dehumidifiers offer the ideal means of preserving and protecting them from humidity damage. They are equally suitable for humidity control in warehouses, castles and historic buildings where excess humidity is a significant problem without a professional dehumidification solution. Zoe INTL can provide reliable, energy-efficient solutions for all humidity problems. With both refrigerant and desiccant dehumidifiers in the sales portfolio Zoe INTL’s range covers a varied number of technologies. With this in mind the sales teams can advise what the best solution is for the client at the best price. If you can’t find the application, you are looking for then please contact our sales team who will be happy to assist you. We have helped thousands of customers find solutions for their climate control problems, anything that you need drying, cooling, heating or ventilating we have a solution for. Zoe INTL manufacture dehumidifiers in a range of sizes to suit any space. Whatever you need, Calorex, Zoe INTL, Aerial and Master have the solution. All products are supported by an in-house applications department and nationwide service network.